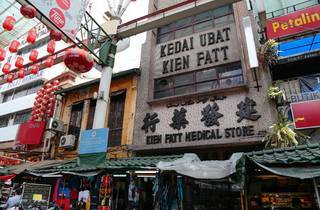 The many yok choi pou (Chinese medicine hall) on Petaling Street have been refurbished to keep up with the onslaught of modernised pharmacies like Eu Yan Sang. 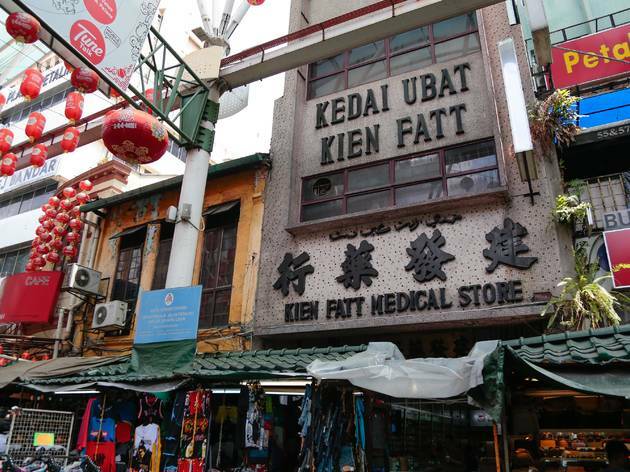 The 70-year old Kien Fatt remains the best medicine hall in that area as there are still sinseh (physicians) administering treatments in the backroom ’til today. Your health can be swiftly diagnosed through a pulse check and the sinseh will write you a prescription. He’ll then rummage through jars of cordyceps, wolfberries, dang gui and atroctylodes to whip up a health booster to replenish chi, combat colds or improve stamina. The tiny drawers behind the counter resemble private vaults, which store away precious tonics like century-old ginseng, bird’s nest and of course, pearl dust.